How'd Wii Music Do In Japan? Wii Music was the subject of a substantial marketing campaign that hit while we were in Japan for Tokyo Game Show. Rare was the train ride or subway station that didn't have some kind of Wii Music presence. That advertising — and Wii Fever, no doubt — translated to some pretty healthy first-week sales of the title in Japan. 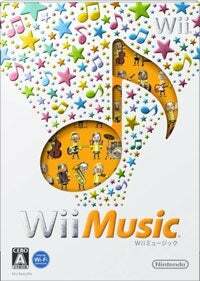 According to the latest issue of Famitsu magazine, Wii Music moved about 100,000 copies in its debut week. And while we'd normally wait for Media Create's sales figures, which can often vary noticeably, our interest in how the market responds to the controversial Wii Music forces us to post. In comparison, Wii Fit's debut on the sales charts was well over a quarter million, but that was just prior to the height of the holiday season. Fortunately for Nintendo, Wii owners will continue to snap up Nintendo software well after a game has been released. Wii Fit, for the record, still rests comfortably in the top ten best sellers on a regular basis.